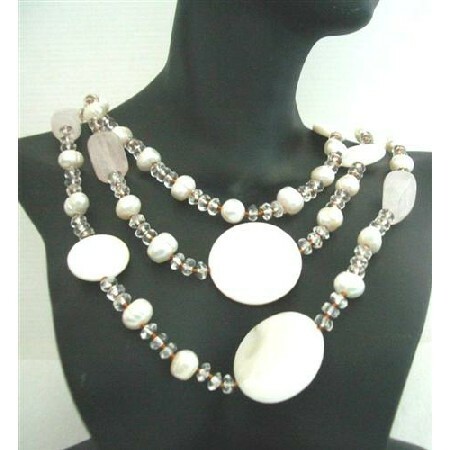 Clear Crystal Freshwater Pearls Round Moon Mother Shell & Rose Quartz Beads Long 60 inches Necklace a natural & bold fashion statement unique attractiveness & fashionable flair to this stylish Multi Semi Precious Beads Necklace What is in this season? Check this out! Sterling Silver Clasp can wear double or tripple strands Necklace a trendy piece with bright beautiful a perfect piece for anyone to wear for a formal or casual occasion!.